The Pestmaster products from Aqua-Tech AGRI mainly consist of weedkiller and snail and slug killer formulations. The snail and slug killer bait consists of high quality pellets which are produced with no impact on the environment. The pellets are sold in different pellet sizes, 2.5mm and 4mm. The packaging for which the pellets come in is suitable for both retail and on the farm. Pestmaster rat & mouse killer consists of the active ingredient brodifacoum which is only available in retail packs. When the product hits the commercial market there will be a brand new packaging and formulation which are both currently under development. 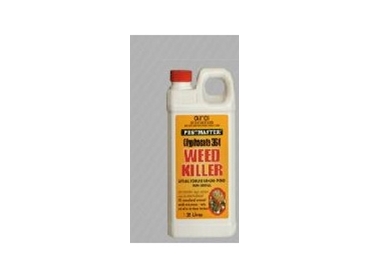 Glyphosate weedkiller is available in a concentrated form as well as a ready to use trigger pack formulation. This is sold in retail packs through major hardware retailers and larger packs available for the commercial user.